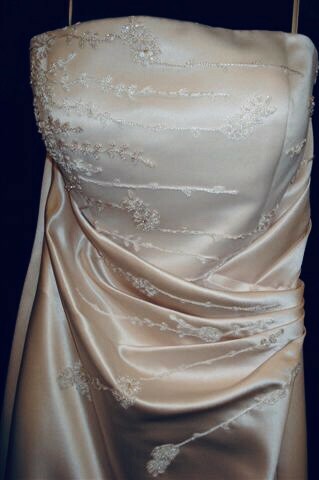 Beautiful Classic style, oyster colour satin material. Suits size 10-12. Suits many body shapes. Exceptionally comfortable & flattering to hide those overindulged moments! Veil also included.